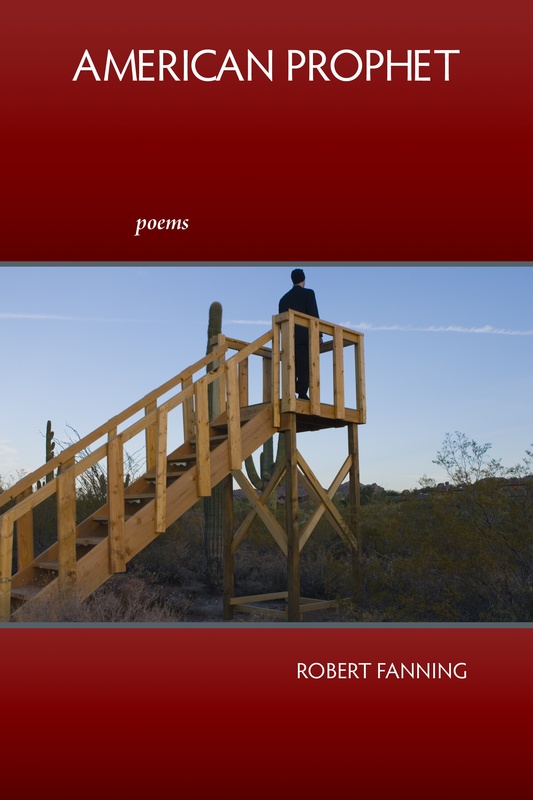 Robert Fanning is the author of four full-length poetry collections: Severance (Salmon Poetry, 2019), Our Sudden Museum (Salmon Poetry, 2017), American Prophet (Marick Press, 2009), and The Seed Thieves (Marick Press, 2006), and two chapbooks: Sheet Music (Three Bee Press, 2015) and Old Bright Wheel (Ledge Press Chapbook Award, 2002). For further information about each publication, as well as purchasing information, scroll down! Robert Fanning takes a dramatic stylistic leap in his fourth collection, Severance, a linked collection of poems taking as its core metaphorical plot the escape of two marionettes, Professor and Grief, who sever their lines and escape the theater and the play Winterland, in which they are the primary characters. The collection’s arc is a journey sequence operating within a liminal state, beginning with evening and ending with morning, beginning on stage and moving across water to a “far shore.” Several contrasts—of Night and Day, Ice and Thaw, Dream and Wakefulness, Flesh and Wood, Being and Performance—underscore a myriad of philosophical, political, spiritual and aesthetic inquiries and themes of: survival, loss, identity, the agency of individuals within tightly wound and mass-governed systems, the relationship of artist to audience, and the role of artist in society. “Prepare to be undone, unhinged, unstrung by the strange song that is this book. Prepare for its strangeness to rearrange everything you believed a book of poems might be,” says author Peter Markus. To purchase, visit Salmon Poetry or Amazon.com (beginning in May, 2019), or contact the author for a signed copy ($15) at seedthievery@gmail.com. For a preview of some of the poems in the collection, why not listen to some of the poems on the Salmon Poetry website. To purchase, visit Salmon Poetry or Amazon.com. Sheet Music is a chapbook featuring six poems and including illustrations by the author, published by Three Bee Press in 2015. The edition is limited to 150 signed & numbered softcover copies, hand-bound and hand-printed on Rives Heavyweight Buff paper. The book was letter-press printed and handbound at Signal-Return in Eastern Market, Detroit by Editor Greg Wahl, with help from his sister, Elizabeth. At once lyrical, humorous, heartbreaking, bitter, and wry—this engaging collection introduces a character like none other seen in the history of poetry. American Prophet is a collection of poems that details the sojourns of a so-called Prophet across the American landscape, from coastal beaches to strip malls to cities to heartland farms. As the Prophet tries continually but fails to reach “his people,” his urgent messages go unnoticed or get swallowed by the machines and cacophony of contemporary America. Through this failed American Prophet, we question notions of faith and doubt, of media, of consumerism, of politics and war, of spirituality and secularism. We consider the question of who or what to believe in now, of how to live—in this new century that finds our nation ever more plugged-in and charged, and ever more on the brink. To purchase, visit Small Press Distribution or Amazon. To Purchase: Visit Small Press Distribution or Amazon. Winner of The Ledge Press Chapbook Contest, 2002, Old Bright Wheel is Robert Fanning’s first publication, and features several of the poems that would later be published in his full-length collection, The Seed Thieves. The book is now out-of-print, though copies can occasionally be found on Amazon, see link below, or still clutched in the hands of the aggrieved dead.